Ice which was once a luxury has become a necessity because it has an important part to play in everyone’s favorite beverages such as iced teas and coffees, smoothies and milkshakes and so on. While you can dispense ice from your refrigerator, an ice maker is a better solution to meet the growing demand of ice in households. Plus, an ice maker adds its own distinct style to your kitchen or any space. And of course, it’s convenient. 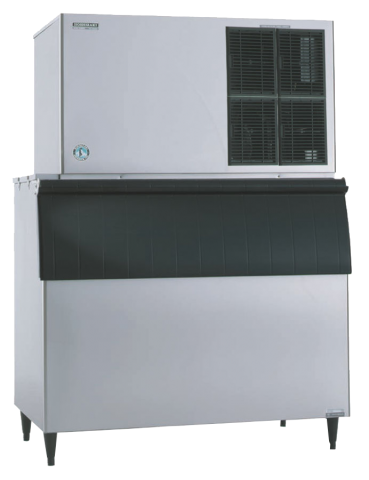 Ice makers are a great appliance because they can meet your larger needs of ice just by flipping a switch and making ice all day without requiring you to put in any effort. Older models of refrigerators are not equipped with an automatic ice maker. If you want it to make ice, you’ll need an ice tray, fill it with water and place it in the freezer, wait for a few hours and then the water is frozen solid when you can remove ice cubes from the tray, and start the process again by refilling the tray with water. In such a scenario, an ice maker is a must for you. Even if you have a refrigerator that has an ice dispenser, having an ice maker in your kitchen will help you whenever you need ice on a larger scale, e.g. for parties, making special chilled desserts and other dishes for the family and so on. 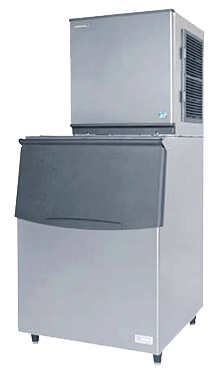 All in all, knowing about ice makers is always useful to you as you may need to buy the appliance in the near future. Here is some useful information. Ice makers are usually designed as a specialty appliance for residential kitchens. As a rule, they are designed to be placed freestanding or under the counter. You can buy an ice maker for your kitchen, man cave, home bar, outdoor kitchen, study or den. Ideally, a space where you entertain most people is a good location for an ice maker. 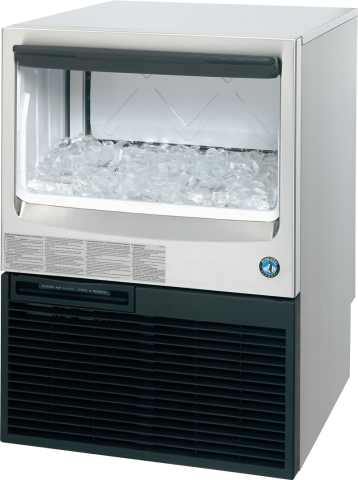 A freestanding ice maker can be placed anywhere as per your convenience. It has strong, finished paneling from all sides. It’s versatile and functional. A built-in ice maker can be fitted into your existing cabinetry or other furniture. It often has no paneling on the sides and offer front vending for the compressors. Portable ice makers are typically small and can be conveniently placed on the countertop. Being portable, you can carry them to parties and events and anywhere you will need ice. Typically, portable ice makers can make ice within ten minutes. 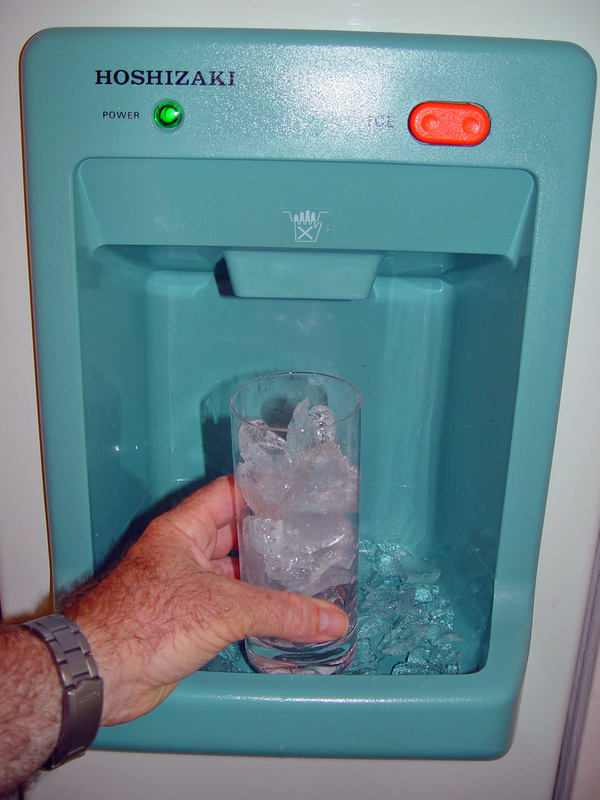 The downside of portable ice makers is that they cannot keep the produced ice cubes frozen for longer. But they can reuse the water made by melted ice cubes to produce new ice cubes again. The hottest trend of today is outdoor entertainment. Therefore every kitchen appliance is available with an outdoor version, including grills, air cooler and of course, an ice maker. For most of us, shape and size of ice cubes may not be very important. However, there is indeed a remarkable difference between different ice cubes. Today’s ice makers can produce different types of ice cubes and some of them even have certain practical uses over others. If you are considering to buy a new ice maker, it may be good to consider these various shapes of ice cubes. Cube is the most traditional shape of ice cubes. They typically take longer to melt. This is an innovative shape of ice cubes with longer and stylized shape that resembles a half circle. However, apart from their novel looks, they don’t have any special benefit as such. This shape looks like small pellets and are ideal for carbonated beverages as they don’t promote fizzing over. They quickly chill the drinks. Some people even find it therapeutic to munch on them. This super fancy shape of ice is typically enjoyed in fine glasses of Bourbon whisky or Scotch whisky. These ice cubes are perfect for upscale events or restaurants. Ice makers of some refrigerators may make white cloudy ice cubes which means that the water used for making them is full of impurities. 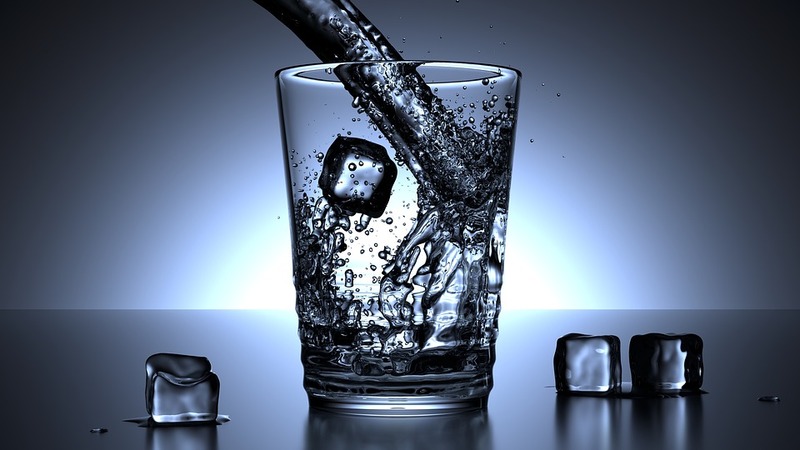 Only clean, filtered water and a unique process of freezing it at right temperature will eliminate impurities and produce clear ice cubes. This type of ice is considered high-quality because it chills drinks without changing the taste of the drinks. There are many factors you can consider. Here they are. A basic small portable ice maker is available for around $100, while a higher-capacity ice maker should cost a bit more but not more than $300. But if you want to produce gourmet or nugget ice cubes, you may need to buy a built-in or under-counter ice maker and may have to shell out a few hundred to several thousands of dollars. Before you buy, decide the spot where you will keep it and choose size accordingly. Take accurate measurements and decide what maximum size of appliance you can afford to use. Often people are caught into a problem of buying a bigger ice maker than their desired space. As a rule, there should be an inch of clearance from all sides to enable optimum oxygen circulation. For how many folks you will need ice? Do you need it just for you or a few or many others? 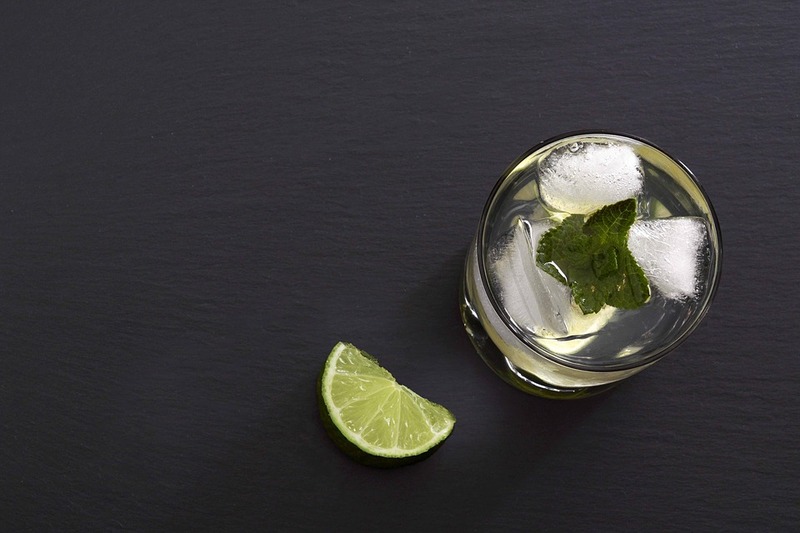 Depending upon the answers to this question, you’ll need to choose your ice maker. The rate of ice production may also be important. In general, the smallest ice maker will make 20 pounds of ice every day. 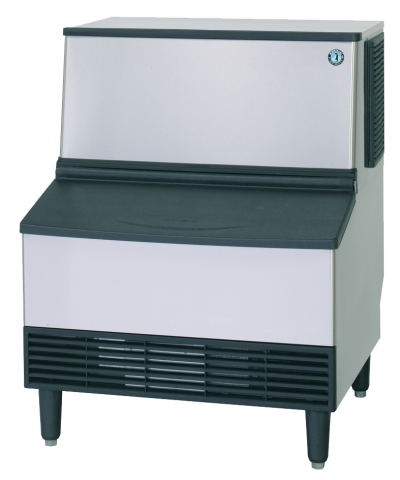 Several ice makers are made of stainless steel and are fit for most kitchens. Their finish is usually black, white or silver. Apart from these, red is also a popular color nowadays. Also note how easy the ice maker is to use. The most basic settings include a timer, turning on and selecting ice size. Also, don’t forget to check how easy the ice maker is to clean. Consider these points so that you will get your hands on the best ice maker and you can enjoy your parties even more!